CHICAGO (NEWS RELEASE) (WLS) -- ABC 7 Chicago, the station that has broadcast candidate debates and forums for more than two decades, will partner again with the League of Women Voters of Illinois Education Fund and Univision Chicago for a commercial free debate among candidates running for Illinois governor. ABC 7 EYEWITNESS NEWS PRESENTS VOTE 2018: The Debate in the Race for Illinois Governor will take place at ABC 7 studios on Wednesday, October 3 from 6-7 p.m. on ABC 7 Chicago. Part 1 of ABC7's Debate in the Race for Illinois Governor between Republican Gov. Bruce Rauner and Democratic candidate JB Pritzker. The hour-long debate will be moderated by ABC 7 Anchor/Reporter Alan Krashesky. He will be joined by ABC 7 Political Reporter Craig Wall and Univision Chicago Anchor Erika Maldonado, who will question the candidates. Part 2 of ABC7's Debate in the Race for Illinois Governor between Republican Gov. Bruce Rauner and Democratic candidate JB Pritzker. The debate will be featured LIVE at 6 pm. on ABC 7 (HD cable channels Comcast 187, RCN 607, WOW 200, and AT&T 1007) and streamed live on abc7chicago.com, the ABC 7 Facebook page and the ABC 7 Chicago News App. Univision Chicago will present the debate in Spanish on Sunday, October 7 at 10 a.m. and will make it available on demand at univisionchicago.com. Part 3 of ABC7's Debate in the Race for Illinois Governor between Republican Gov. Bruce Rauner and Democratic candidate JB Pritzker. ABC 7 EYEWITNESS NEWS PRESENTS VOTE 2018: The Debate in the Race for Illinois Governor will be made available to television and radio stations throughout Illinois via the Illinois Broadcasters Association. Part 4 of ABC7's Debate in the Race for Illinois Governor between Republican Gov. Bruce Rauner and Democratic candidate JB Pritzker. 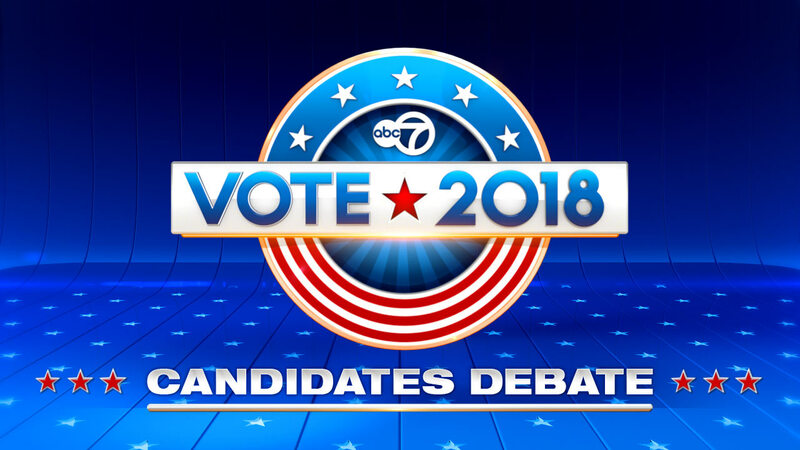 The debate is produced by ABC 7 Eyewitness News in collaboration with the League of Women Voters of Illinois Education Fund and Univision Chicago.